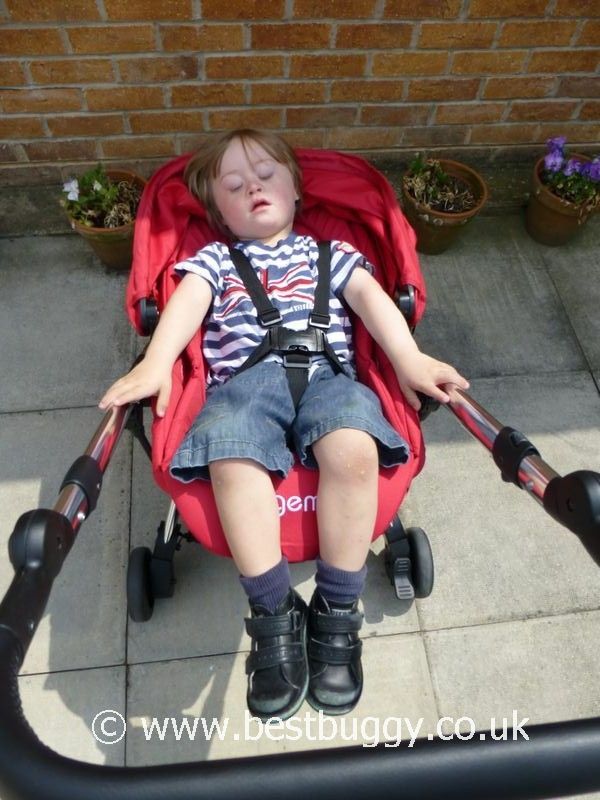 Use our comparison tool to compare information on two pushchairs side by side. These photos are of our 2 year 11 month old (91cms tall, 19th centile for height) in the Babystyle Oyster Gem. 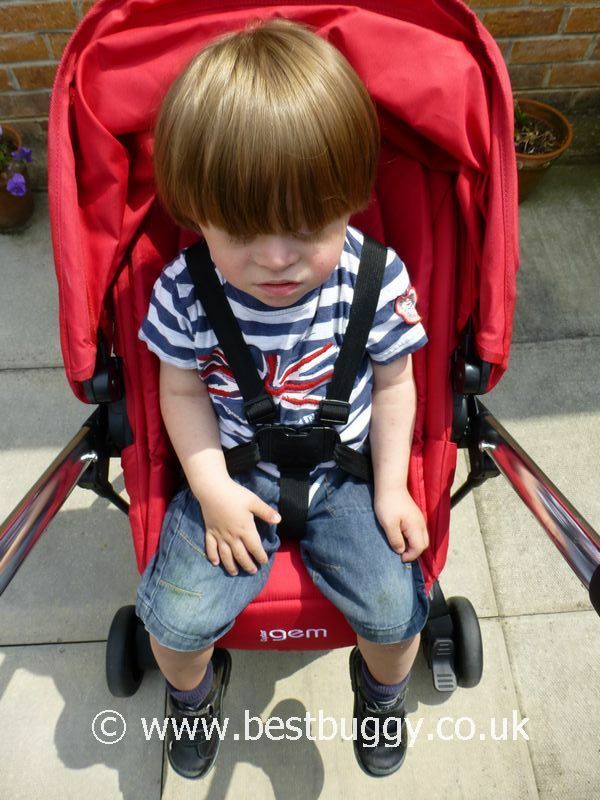 Please note there are two seat units in these photos – the smaller red seat which can forward or parent face, and the larger black seat which only forward faces. 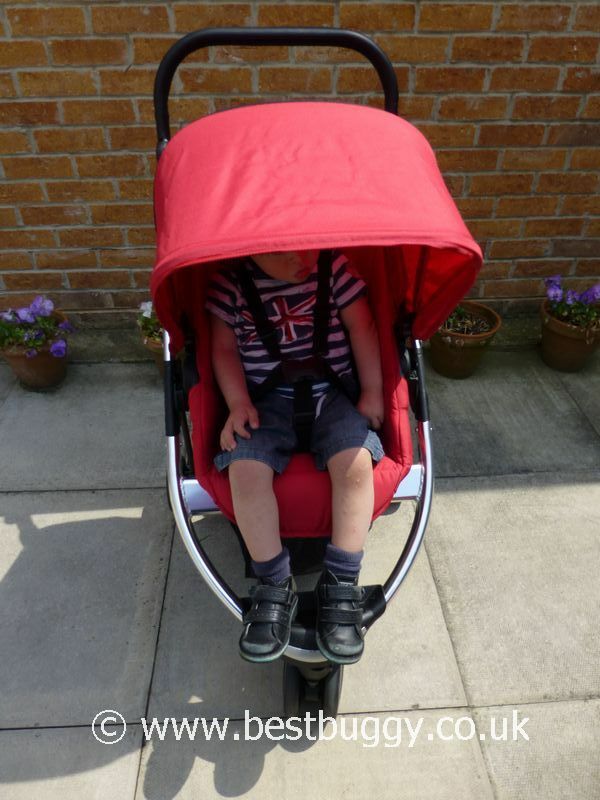 There should really be a natural progression with the Oyster Gem from the use of a carrycot and / or car seat, into the smaller red seat at 6 months old, and then into the larger black hammock seat at whatever point you wish to move your child to permanently forward facing. 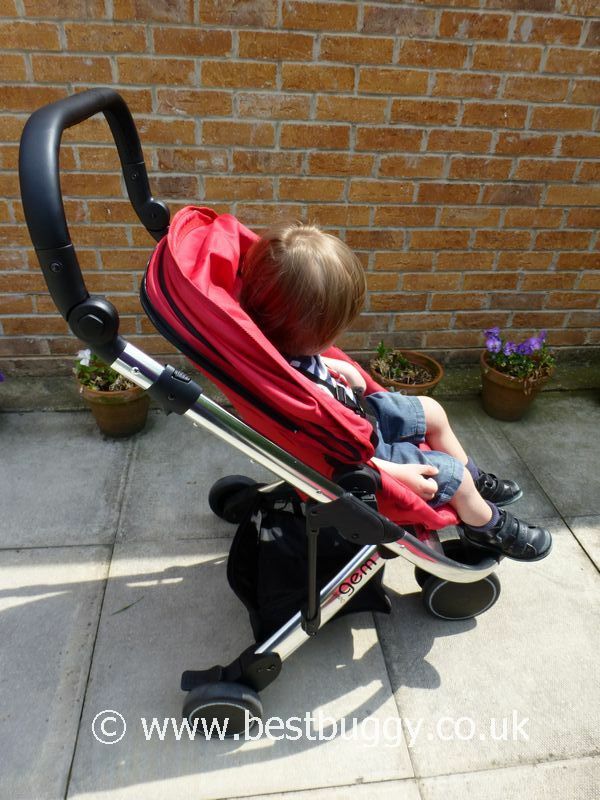 However both seats – small and large, are certified for use with a child up to 15kgs. Our son much prefers to parent face, and the Oyster Gem seat has been really good for him to parent face. He looks super comfy. However, when looking at these photos, please appreciate that our son really is at the upper end of the range to use the smaller seat, but that there is a progression for him in future, into the huge black hammock seat. 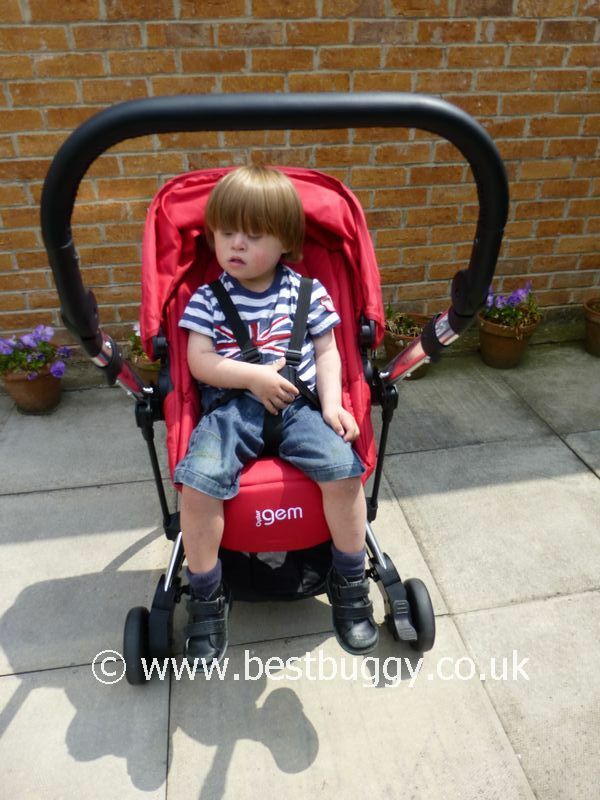 Please note too that this Oyster Gem is a sample pre production pushchair. 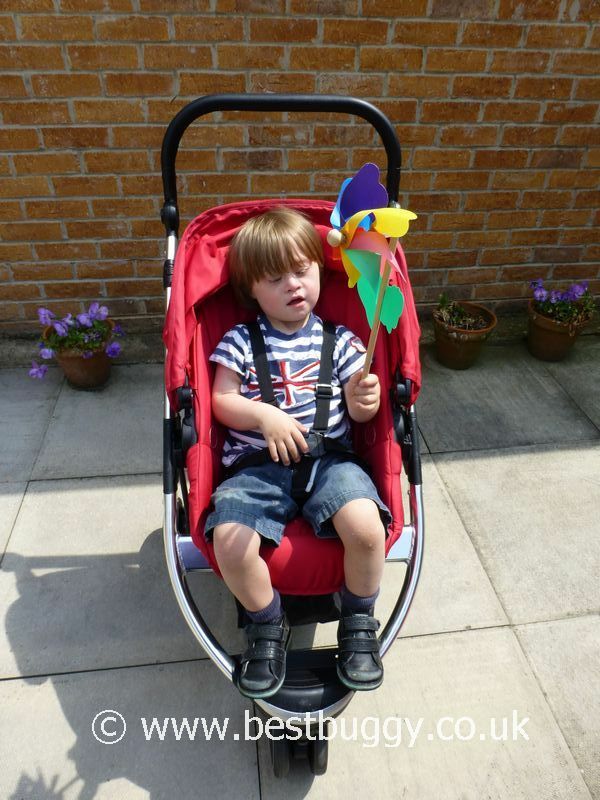 The final production pushchair could be different. For more information on both seats, please look at our other photosets of the Oyster Gem. With many thanks to Babystyle and to Nick. Please like us on facebook!